COPIA, opened from 2001 to 2008, was founded by Napa winemaker Robert Mondavi, as a cultural museum and educational center dedicated to the distinctively American contribution to the character of wine, food and the arts. Auerbach Pollock Friedlander worked directly with Robert Mondavi to program the Center while working with the design team to develop the performance and presentation spaces: a 280-seat presentation and film auditorium, the 80-seat Meyer Food Forum demonstration and seminar room and the River Concert Terrace – an outdoor performance space facing the Napa River. 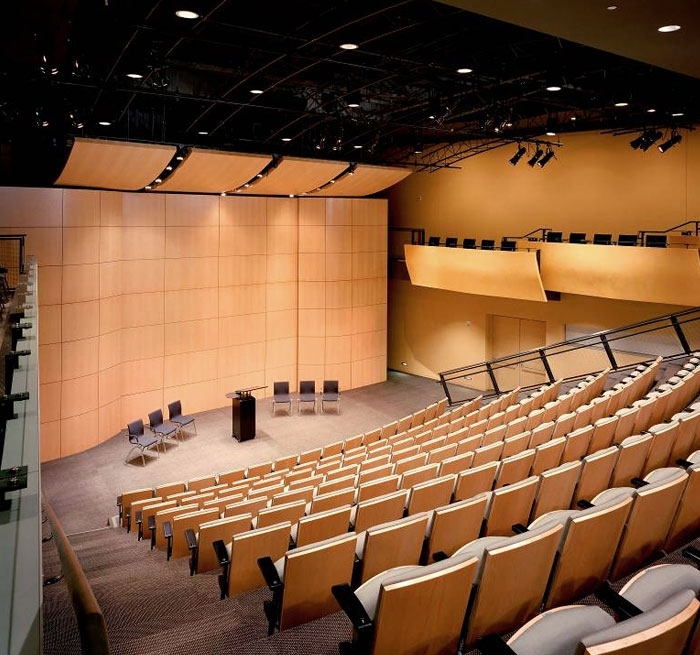 The firm also developed the concept for the building-wide audio-video systems. 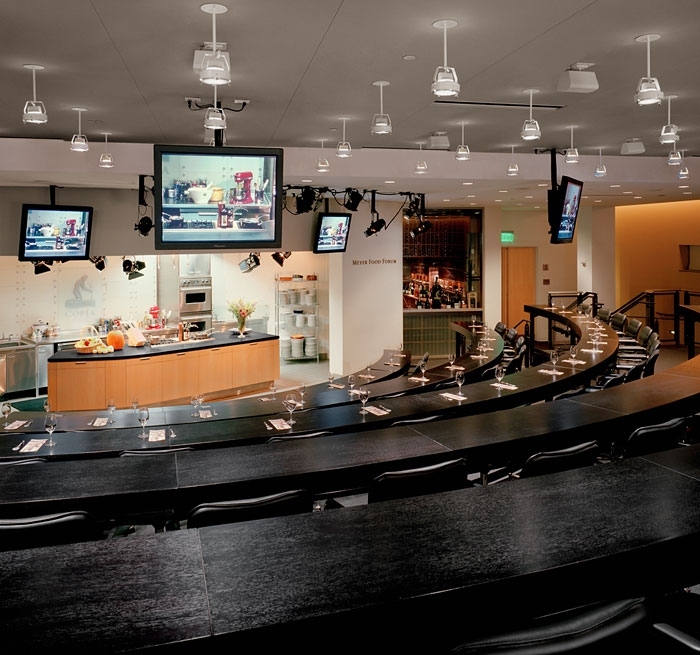 The Center’s unique focus on wine, food and the arts is embodied by the design of the Food Forum – a lecture room with executive seating at a series of terraced, curved dinner tables facing a demonstration kitchen/video studio/stage. Large flat panel LCD screens, following the radial pattern overhead, provided excellent close-up views of the chef’s work. The seating, of course, allowed for sampling and dining for all audience members.